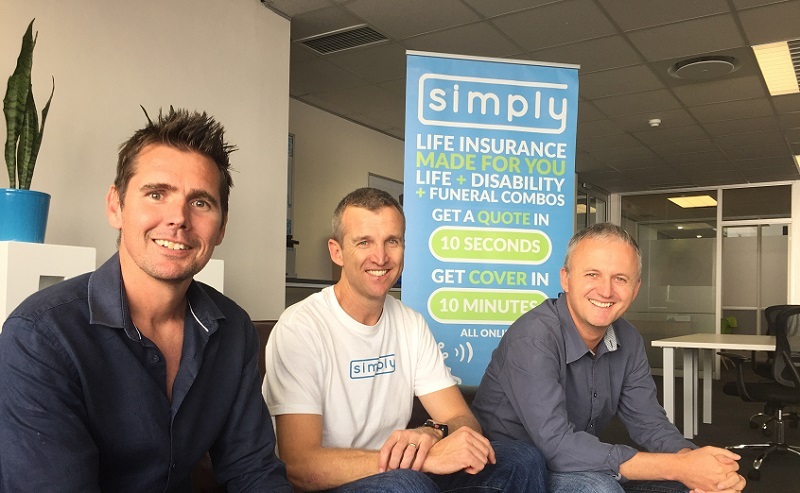 South African insurtech startup Simply Financial Services has secured a significant multi-year funding commitment from private investment group Yellowwoods to help it achieve its growth aspirations. Launched in November 2016 with the goal of shaking up South Africa’s mass-market life insurance space by serving as many people as possible, Simply designs and sells great value, simple life insurance products. Founded by technology entrepreneur Anthony Miller and actuaries Simon Nicholson and Shaun Dippnall, Simply currently offers Family Cover, Domestic Cover and Group Cover options, all underwritten by Old Mutual Risk Transfer Ltd (OMART). It has now secured funding from Yellowwoods, which Miller, Simply’s chief executive officer (CEO), said was a major boost for the startup. Miller anticipates significant business growth within South Africa as the niches which Simply currently targets are underserviced. The investment in Simply adds to Yellowwoods’ growing stake in a number of emerging local and international insurance businesses. The private investment group has interests in Hollard and Clientele in South Africa, and invested in another local insurtech startup – Naked Insurance – last year. It has also backed machine learning startup DataProphet. “We’re seeing a shift in the way customers interact with and purchase financial services products. Our intention is to be ahead of the curve as a result of our investments in disruptive businesses such as Simply,” said Scott Gilmour, director of Yellowwoods. He said the decision to invest in Simply was based on a number of factors, including the startup’s flexible and exportable business model, the strength of its team, its transparent value proposition to customers, and the technology stack that underpins the business. “What Simply delivers within its niche market segments can be replicated in all areas of the market over time,” Gilmour said. Miller said Simply would be open to partnering with large incumbent life insurers to assist them improve their digital efforts and assist non-insurance players in providing life insurance products to their customers, as part of its growth strategy. “I believe the combination of our digital capabilities and their brand affinity will prove a powerful combination,” he said.